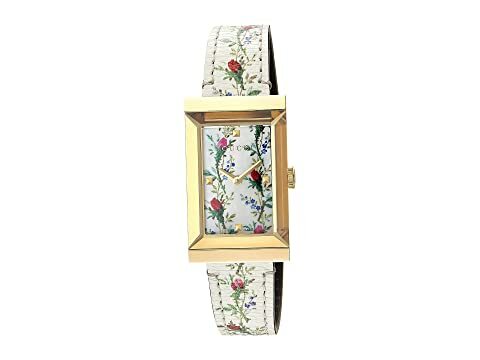 Floral printed dial face includes brand name and pyramid stud hour markers at 3, 6, and 9 o'clock. We can't currently find any similar items for the G-Frame - YA147407 by Gucci. Sorry!